Adults with autism have found a place at Bittersweet, a small farming community. Overseen and taken care of by trained volunteers, residents find ways to find safe and meaningful experiences through farm work. 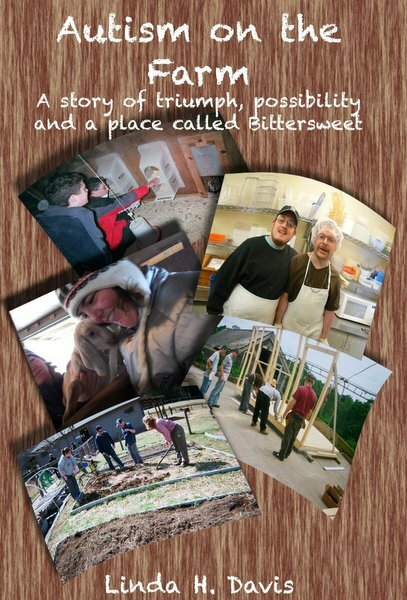 This book tells the stories of several residents of Bittersweet, tracing their journeys and family dynamics to their discovery of Bittersweet, where staff help them find a place to be and activities they can participate in and enjoy. The book also chronicles the struggles of the families and of Bittersweet itself with difficult societal conditions and scarce resources from outside communities or from the government, and the ways in which the staff try to navigate those circumstances to find or create the best possible environment for the people they help. Designed to be a safe and supportive space, Bittersweet works to cater to the residents’ needs and find ways to grant them enjoyable and productive experiences. With careful attention, Bittersweet staff work to redirect problematic impulses in the residents to safer and more productive outlets, creating an environment that can be more effective than many more traditional programs. Facing difficulties and obstacles both new and old with patience and diligence, Bittersweet and the adults in its care persevere in maintaining a solid and welcoming community. Frank about its successes, challenges, and setbacks, this is a heartwarming and inspiring story of hope, generosity, and the surprising potential of the human spirit.